Update: Dead! Congrats to those who got it! Don’t have the time to rehash all the details but visit Gary’s post and Dan’s Deals post here for all details. Look on United.com, change county to Denmark and follow their instructions. This is only good for London (or UK) to US either roundtrip or one way. I booked a one way home from London in United BusinessFirst on their Dreamliner. Good luck! Update: Dead – these always go quick! Talk about a Christmas present, there is a massive mistake fare going on right now on Etihad Airways. You can fly from NY to Abu Dhabi for $187 roundtrip, NY to Hong Kong for $328, Chicago to Mumbai for $325 and more! This deal could die any minute so book quickly and use the 24 hour free cancellation from Priceline. 1. Search on Google Flights for dates. Weekdays from Jan-March and Sept- Nov have the best availability. 2. Book on Priceline using the dates found via Google Flights. You can try clicking the link to Orbitz as well. 3. 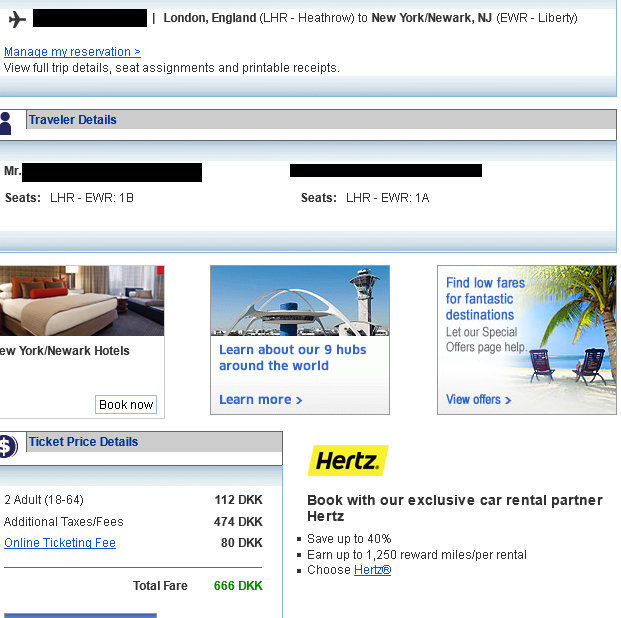 IMPORTANT: The price might appear higher at first on Orbitz – Click through to the next page before you purchase. You should see the lower price (this is why you start with Google Flights to find the dates with lowest price). Reports are Priceline is working better for this. 4. Orbitz offers free cancellation until 10pm the following day. Priceline offers free cancellation until 11:29pm the following day. Book soon as this will not last!! For more info and dates, check out the following blogs who have posted about this deal. AMAZING DEAL ALERT: Roundtrip flights from the US to Australia, India, Africa & the Middle East for $251 to $700 Roundtrip!! The Flight Deal just discovered an amazing mistake fare that most US cities are pricing Roundtrip travel to Australia, India, the Middle East & more for only $251 to $700!!! It works from most major US cities for flights on Etihad. This is without a doubt a systemwide glitch at Etihad so this will get pulled any minute. I’m about to board a flight so for the latest info and working city paris PLEASE go to this site for details and how to book! I can’t take credit for this travel hacking deal but user chokdee on Flyertalk posted an amazing mistake hotel deal for a 5 star resort in Phuket, Thailand starting at about $13 per night!! And for a few bucks more, you could book yourself in a junior suite or cabana room with direct pool access – again truly an amazing find! I’d say this is a pretty good deal…no? Now the part that makes this great travel hacking is that people didn’t simply stop at booking this room at the discounted rates. They wanted to get the room even cheaper and they did! The original poster stated he found the room for 25 pounds per night on Expedia which is about $42 per night. Obviously a great rate but not good enough apparently for some. I recommend reading through the thread but here some key components that shows just how great travel hacking can be. 2) To make an amazing deal even better, someone noticed suites or higher level rooms were pricing for only a few bucks more. Why get a standard room for 8 pounds when you could get a cabana room for 18 pounds? 3) Icing on the cake, for me at least, was a 20% off discount code that could be applied to the reservation. Using code EBK20HOTEL on ebookers.de (use Google Chrome to translate the webpage). Seriously who needs another 20% off these rates?!?! In the end I booked 5 nights in a Cabana room that has a private outdoor jacuzzi and direct access to the pool for 169 Euros ($213 USD) TOTAL. That’s $43 dollars a night for a 5 star hotel in an upgraded room! Good luck if anyone books this! $7 Hotel Room in Cancun! This one will go fast but right now on Orbitz you can book a suite at the Barcelona Towers hotel in Cancun for only $7/night! I am not 100% sure this will be honored so do not book any airfare or other non-refundable travel until your rooms have been confirmed. Check out this post from Dan’s Deals with more information.